I’m not going to lie, since turning 40 I see a lot of changes in my face. For the past five years, I’ve been toying with the idea of fillers and Botox. It seems more acceptable now than ever, but that doesn’t take away my fear of botched results or pain from the procedure. Regardless, I see so many benefits that I’ve been prompted to take a journey into researching the process, the aftercare and how temporal the results are. After reviewing their stats, I took a moment to scroll through the page — I was desperately looking for a 30-something point of view. Don’t get me wrong I think it’s important to talk about preventative measures, but in my opinion, to write an anti aging article without covering a 30+ bracket is seriously lacking. I can guarantee that there isn’t a person out there who has spent $600/vile on filler who hasn't thought about next steps. How about covering questions like, how often do you need appointments? Are there any adverse effects over time? What’s the data on how this procedure can help with slowing down the effects of aging? Only an older demographic can cover these essential questions in a POV article. - How many vials of filler need to be injected to achieve the look I want? - If you fill the upper lip to plump fine lines, do you have to fill the bottom lip too, so it looks balanced? - Is this treatment preventative? 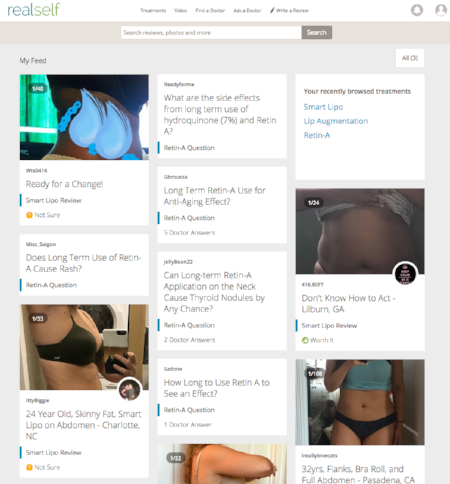 Does the skin get stimulated enough to potentially generate collagen? - How long do the results last? Can you provide me with the shortest to the longest timeframe? - Is Botox a riskier procedure than Juvederm and other fillers? Here's an interesting resource to research the good, the bad and the ugly. 1. Do the doctors administer injectables or do they have nurses. Personally, I won’t let anyone but a qualified doctor close to my face. 3. Does the clinic sell reputable products? If they sell their own line of products they could be in it for the wrong reasons. It’s impossible to spend time and energy on making clients happy as well as being the leading innovators in this market. This is especially true when there are so many effective products already available. Hell, Allergan, the makers of Juvederm, Botox and all the other big names on the cosmetic skin care spectrum make one of the most popular lines called Skin Medica. Does any small clinic really want to compete with that? 4. Finally, ask the doctor about their style. Make notes about what you don’t like for example, duck lips, stretched skin, ability to emote (if you know for an eyebrow raise you might not want to get rid of that). Make sure you connect with them since there aren't always a lot of pictures to reference. Obviously patients need to A-OK them for release. Good luck and be confident with whatever you choose to do. Personally, I'm going to continue my search for something that works for me. I'm just not comfortable at this time with the risks, the gains and research in favor of these treatments.